I have been wracking my brain for weeks trying to remember a lovely, light dessert that I made a few years ago for some friends. I remembered that it was like individual pudding molds, sitting in some sort of fruit puree. Then I remembered that it was lemony, and I did a search of lemon desserts. 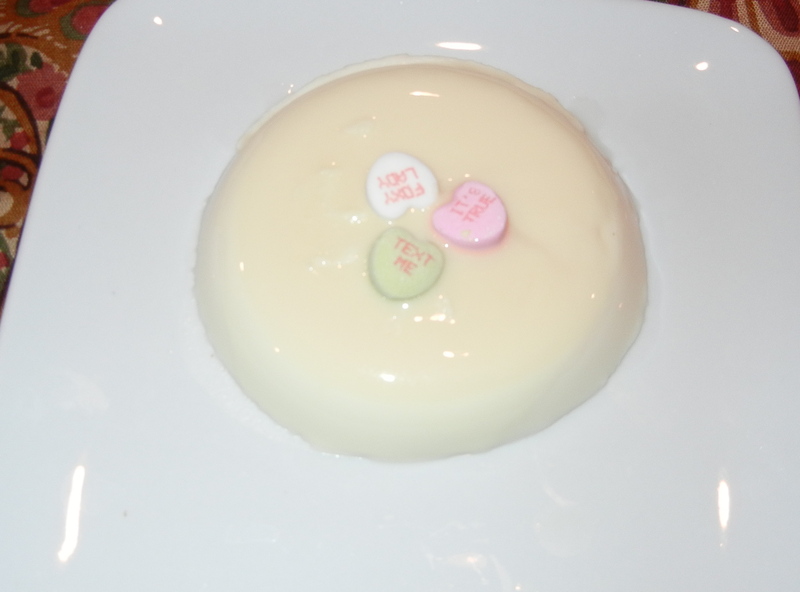 And there it was: panna cotta. 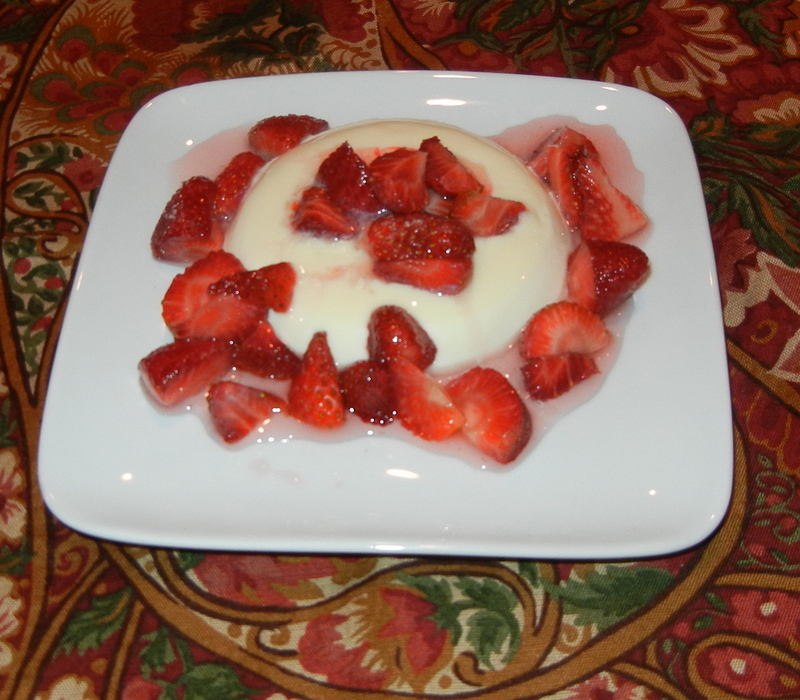 Panna cotta, from the Italian “cooked cream” is an Italian dessert made by simmering together milk, cream and sugar, adding some gelatin, and letting it cool until set. It is often served with fruit, either cooked or raw. 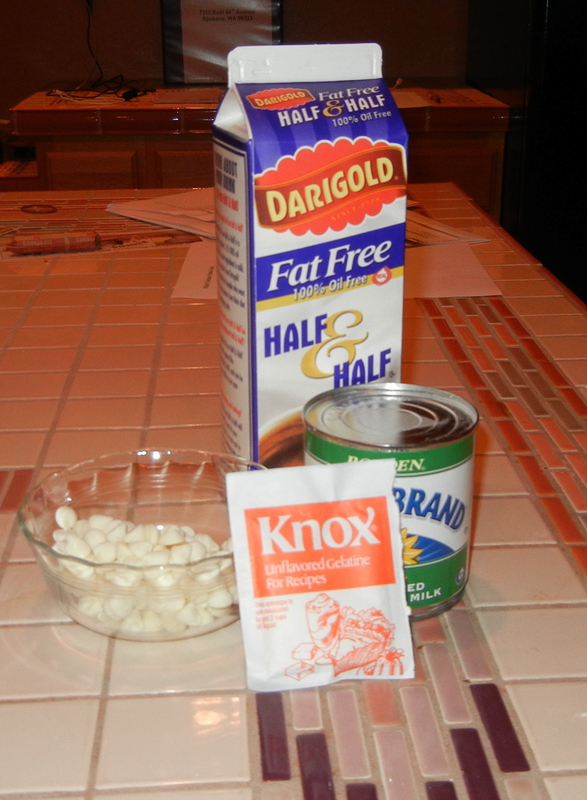 And it can be very low in fat and remarkably easy to make. 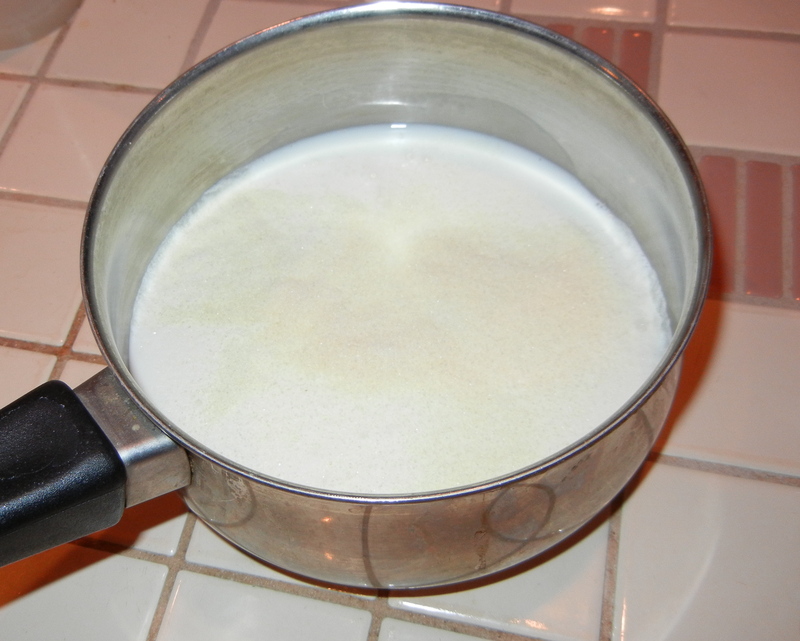 Sprinkle gelatin over 1 cup fat free half-and-half in a small saucepan; let stand 1 to 2 minutes. 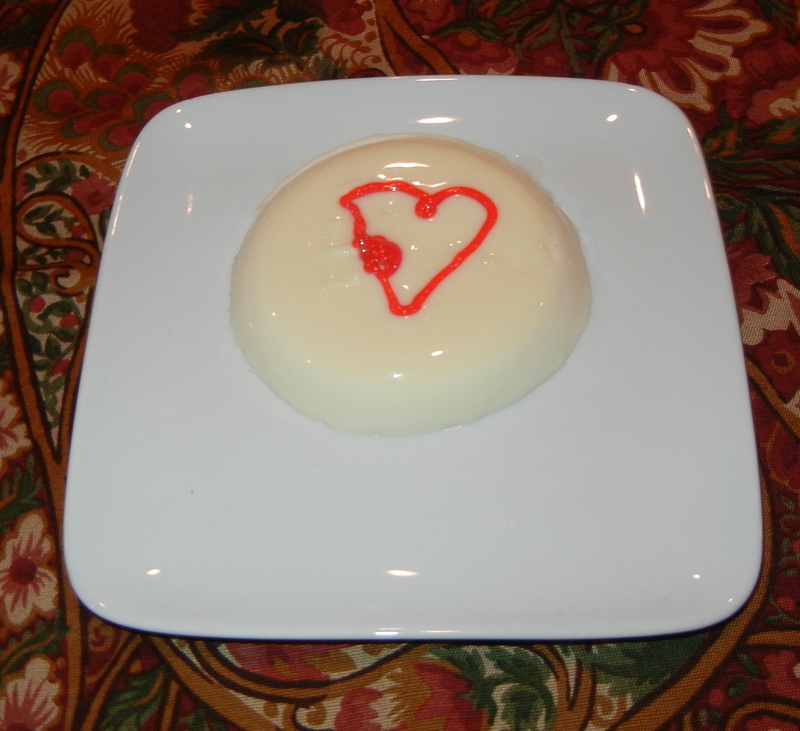 Cook, stirring constantly, over medium heat 3 minutes or until gelatin dissolves. Watch so it doesn’t burn. Remove from heat. Add chocolate, stirring until chocolate melts. I found I had to stir quite vigorously to get it to melt…maybe chopped chocolate would have worked better. 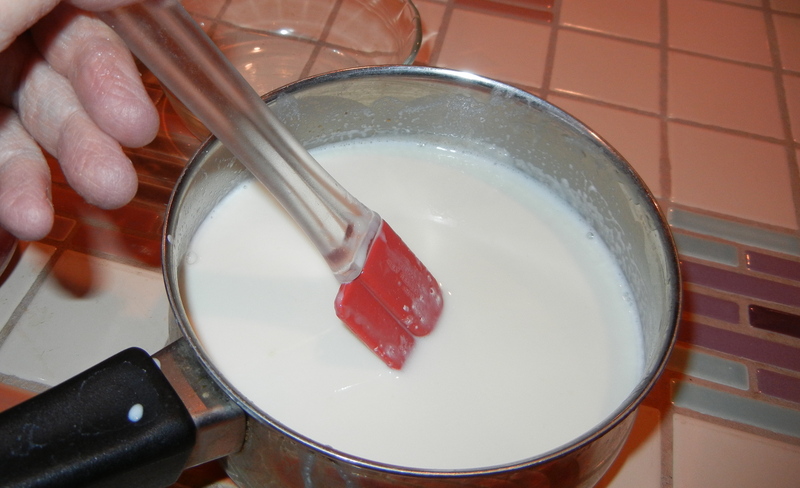 Gradually stir in remaining 1 cup half-and-half, condensed milk, and vanilla. 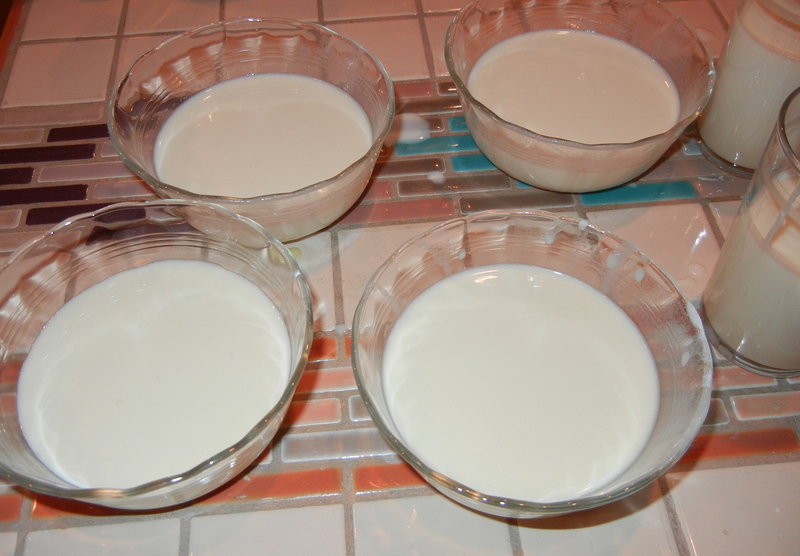 Pour 1/2 cup custard into each of 6 stemmed glasses or 6-ounce custard cups. NOTE: I happened to have white chocolate chips on hand, so I used them. They were hard to melt into the half and half. I think it would be better to use a high quality white chocolate bar, partly because the chopped chocolate might melt better, but also because the flavor of the white chocolate dominates this dessert, and probably high quality white chocolate would be better. If you use the chips, you might want to chop them up a bit. Decadence upon decadence. I have just eaten French toast stuffed with thick, gooey Nutella and topped with strawberries. I worked all day getting the house ready for various contractors working on my remodel project. I climbed up and down the step ladder packing away decorative items, taking shelves down, and moving furniture away from where they will be working. It was definitely not a day for intense dinner cooking. I needed easy and indulgent. I made the usual French toast – 2 slices of French bread soaked in egg substitute thinned with non-fat milk. When the French toast was done, I spread a tablespoon of Nutella (a hazelnut-chocolate spread) on it (this shows 2 slices for 2 servings). I must say I was tempted to eat the slathered slices right then and there. I may do this next time. I topped the Nutella-covered slices with another slice of French toast, and then spooned defrosted sugared strawberries on them. If you have fresh strawberries and the time to add sugar and let them release their juices, I think this would be even better. This made one serving (I’ve pictured 2) with about 6 grams of fat/serving. What a low fat indulgence. If I had whipped cream in the refrigerator, I would have measured out a squirt or two.